At the Mazda display, they did something very unique this year. Instead of putting the newest vehicles on display. They put in 3 historic sports cars that made an impact in what made Mazda so successful today. 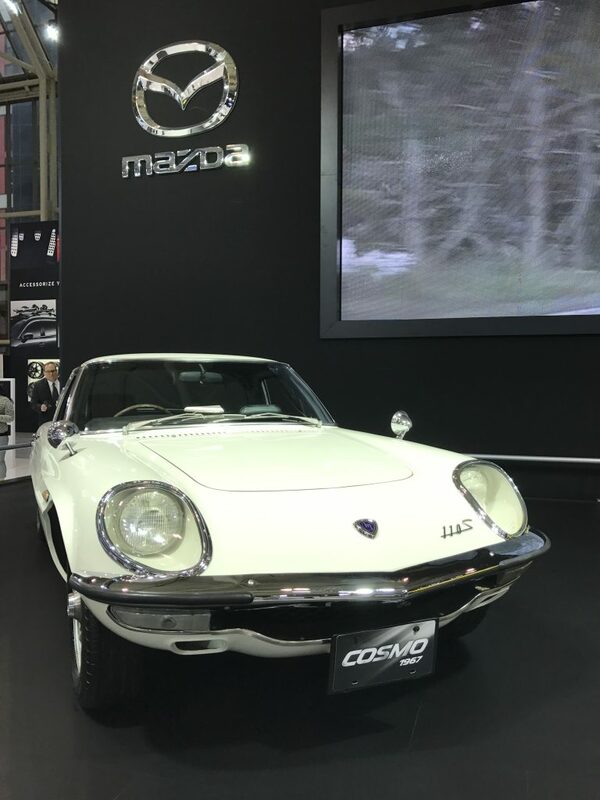 In particular, I never heard of the Mazda Cosmo which was built in 1967. I wasn’t even born then, perhaps that’s the reason that I didn’t know anything about it. But the Cosmo looked very nice. The iconic RX-7 that runs on Mazda’s famous rotary engine was on display. And last but not least, the Mazda MX-5 convertible, always fun to drive.